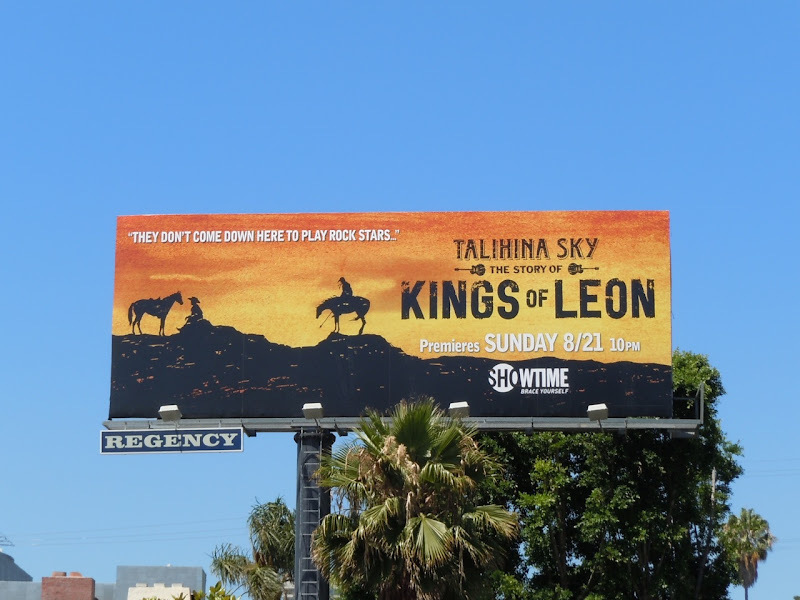 Just a short week away and fans of the Kings of Leon will be rewarded with the rock band's warts-and-all documentary, Talihina Sky, on Showtime. Maybe this frank, fly-on-the-wall film will help explain why the band cancelled the remainder of their Summer tour after a disastrous live concert in Dallas. 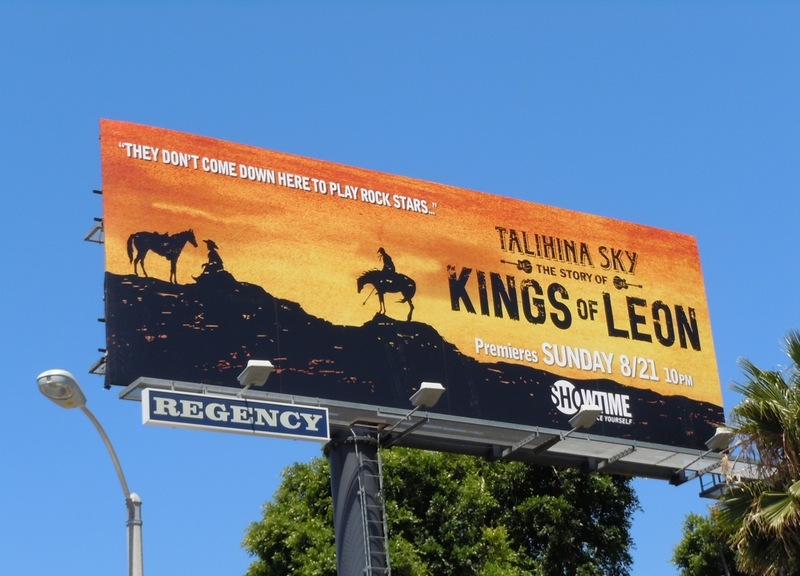 This eye-catching Showtime billboard for the superstars of Southern rock was snapped along Sunset Boulevard on August 4, 2011.